PasarBella. Tokyo Fresh Market is now here at PasarBella!. 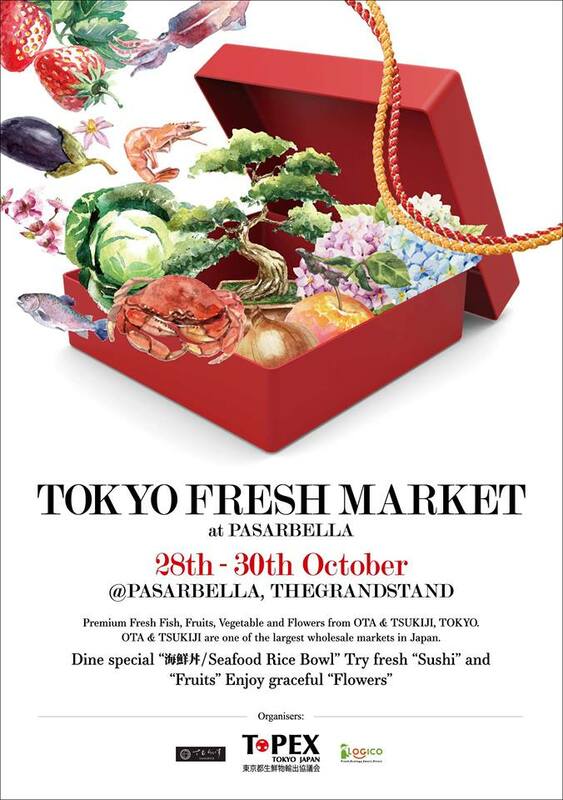 Tokyo Fresh Market is Now here from the 28th-30th of October at PasarBella! Enjoy premium grade fresh fishes, fruits, vegetables, and flowers from OTA & TSUKIJI, TOKYO on the 28th-30th of October at PasarBella. OTA & TSUKIJI, TOKYO is one of the largest wholesale markets in Japan.